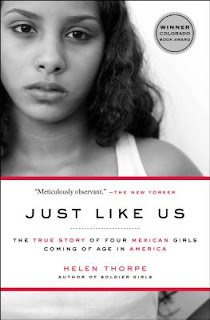 Another month gone, another Social Justice Book Club book under our belts. In March, the group read Enrique's Journey: The Story of a Boy's Dangerous Odyssey to Reunite With His Mother, by Sonia Nazario. 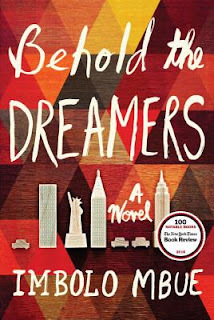 The book, originally published in 2006, was revised and updated in 2014 to reflect the ever-changing story of immigration in the United States from Central America. The story began as a series in the Los Angeles Times (for which Nazario received a Pulitzer Prize for feature writing), and offers an in-depth account of one boy's journey from Honduras to reunite with his mother in the United States, often atop dangerous freight trains surging through Mexico. 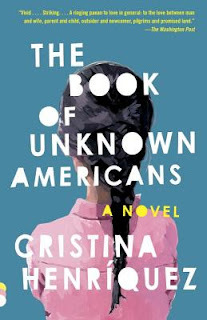 Nazario's story, which she researched in part by traveling the train tops herself, is centered on Enrique but not to the exclusion of the hundreds and thousands of other stories of dangerous migrations to the United States. Enrique's journey is couched in side notes on the resources and refuges available to migrants--particularly children--along the train routes and along the U.S. border, peppered with stories from other migrants who faced unspeakable horrors, and full of details about the myriad challenges, from gangs to police to ICE agents, that migrants face on every step of their journey. Nazario spoke to migrants who made it to the US and to those turned back, to some on their second and third journeys and to some who had attempted to travel north more than a dozen times. This variety ultimately made Enrique's Journey all the more powerful for me; though Enrique's own story anchored the book as a whole, the kaleidoscopic lens through which Nazario researched her subject provided more depth and detail than one boy's tale could possibly have related. The club discussions migrated to a few key themes. 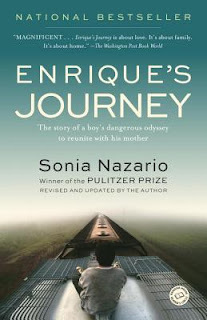 One, the somewhat surprising tone that Nazario took towards mothers (like Enrique's) who choose to leave their children when they head to the United States in search of opportunity (and a general sense of shock that Enrique encouraged similar behavior from his girlfriend after coming of age feeling like he'd been abandoned by his own mother). Two, the journalistic approach of Nazario's writing (versus some of the memoirs we've read previously for the club). I expect this particular discussion will continue as we continue to read books from multiple perspectives and points of view, so come hop on in if you're interested in participating. Sonia Nazario's recent op-ed in The New York Times, "These Are Children, Not Bad Hombres"
Got other related titles, articles, or videos you'd recommend? Drop 'em in the comments! 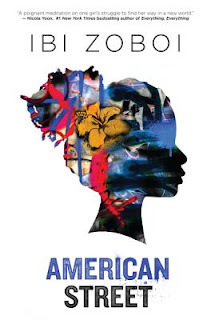 The April book for the Social Justice Book Club will be Headscarves and Hymens: Why the Middle East Needs a Sexual Revolution, by Mona Eltahawy (and in case you really wanted to plan ahead, the May book will be Evicted: Poverty and Profit in the American City, by Matthew Desmond). If you're already in the Slack, be sure to add yourself to the #headscarveshymen channel for this month's discussions. If you'd like an invite to the Slack, sign up here and we'll add you ASAP.